The "Great Dying" is a monstrously deadly event that occurred about 250 million years ago. Whatever it was drove some 90 percent of the world's species to extinction. It is geology's leading murder mystery, and just like some dinner-theater production, a new theory about the killer has the diners around the table murmuring. About two centuries ago, early geologists could see that in the record of the rocks there was a big, sudden shift in the world's fossils. 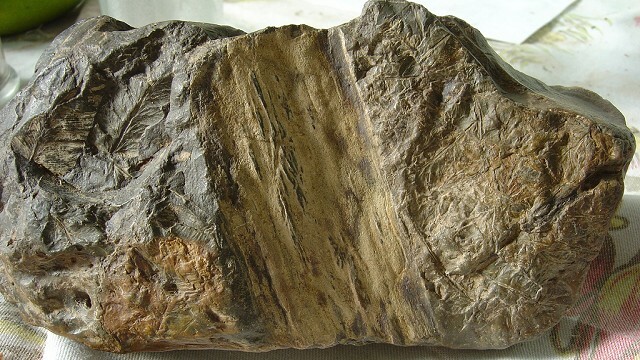 It was a significant marker that they declared to be the boundary between two large-scale periods of time, the Paleozoic and Mesozoic Eras (think of these as the Trilobite Era and the Dinosaur Era, respectively). As our knowledge grew, it became clear that this event was the greatest episode of mass extinction in the whole geologic record. Lately, new evidence and more sophisticated thinking about it has created a scientific ferment around the Permian-Triassic extinction, named for the last time period of the Paleozoic and the first of the Mesozoic. In thinking of mass extinctions, we have a list of the usual suspects. They're the same threats you read about in the paper, only much largerclimate changes, volcanoes, upsets of ocean chemistry, cosmic impacts. We've had a hard time gathering evidence because in the 250 million years since the Permian-Triassic event many rocks have been lost to erosion or warped out of recognition by heat and pressure. But also, it seems that the world was in such an uproar that the formation of rocks themselves was interrupted in many places, leaving gaps in the record. Recently the research community has been converging on a scenario involving monstrous volcanism. There was a colossal series of eruptions during the latest part of the Permian in present-day Siberia that covered a Europe-sized area deep in fresh lava. (If you've heard of the huge Columbia River flood basalts in Washington and Oregon, the Siberian Traps covered more than 10 times as much ground.) That would be bad enough on its facevolcanic gases and water vapor would seriously perturb the atmospherebut the lavas burned their way through enormous beds of coal and carbonate rocks too, multiplying their effect. And as the great Glossopteris forests and peat swamps of the time dried out and died, their carbon too entered the atmosphere. As this blanket of carbon dioxide and volcanic haze smothered the globe, the ocean died too, its surface waters heated to hot-tub levels. Massive erosion of the now-bare land flushed the seas with unaccustomed nutrients and toxins. It was millions of bad years before the planet regained its poise, the forests returned and the habitats refilled with species. The causes and mechanisms of this scenario are not certain, but it's the current working consensus. Additionally, the continental movements of plate tectonics were a long-term influence, and the exact short-term killing mechanism is somewhat conjectural. The mystery is still open to new ideas that in turn suggest fresh evidence. The new suspect was proposed on March 31 in the Proceedings of the National Academy of Sciences: the culprit was an outburst of evolution in sea microbes. The paper, "Methanogenic burst in the end-Permian carbon cycle," is by Daniel Rothman and a group of fellow scientists at MIT. It has some aspects that the general run of geologists may find theatrical, but in a good way. For one thing the paper is open-access, a step that costs the authors extra but guarantees a good crowd of readers (including the general public) and increases buzz. The authors open with a flourish by dismissing the consensus as "difficult to reconcile with observed geochemical changes." Then they propose to their fellow-diners a plausible argument with three prongs, like an old-fashioned dinner fork. First, they use a simple numerical model, based on several reasonable simplifying assumptions, to suggest that carbon compounds of some kind were entering seawater at a "superexponential rate," much faster than fires or lava could accomplish. Second, they suppose that this burst could have come from the seafloor, where carbon compounds had been building up for many years in the low-oxygen conditions of the time. Their logic points them to a sudden evolutionary change in the Methanosarcina group of microbes. Due to a gene transfer from another set of microbes, Methanosarcina suddenly found itself capable of eating this carbon and releasing the waste product as methane gas. As the microbes gorged themselves in a runaway carbon feast, they threw gigantic amounts of methane into the atmosphere to cause ruinous global warming. Rothman's team uses "molecular clock" calculations, a recently developed method based on genetic evolution, to pin the time of this gene transfer down to 240 plus-or-minus 40 million years ago, "strikingly close to the end-Permian extinction." Third, they introduce the deadly metallic implement: nickel. Levels of the element found in the key rock sequence of Emeishan, China, rise strongly at this time, indicating that the Siberian lavas were releasing it to the environment in high volumes. And aha! the key atom in the enzyme that Methanosarcina uses to create methane is, you guessed it, nickel. And with that, they sit back down at the murder-mystery table to polite applause. The scheme is clever and novel. It can be addressed with more research, which is its most important feature. And it doesn't really displace anything in the rest of the consensus scenario. Rothman's proposal offers a timely implication from the remote Permian Period: Haven't we been hearing lately about another species finding a new way to exploit carbon that inadvertently causes global warming? Something to chew upon as the conversation continues. "Although such implications remain speculative," their paper concludes, "our work makes clear the exquisite sensitivity of the Earth system to the evolution of microbial life." And who is smarter, a mere microbe or us?